Choosing a guard dog for a family with children may sound like an easy and straightforward task to do. It’s because many people assume that all dogs are just the same. “They all have the characteristic as a protection dog.” – I heard someone saying. Well, it’s not quite right, but it’s not entirely wrong either. It is true that dogs are capable of guarding, but not all dogs are that good at it. Also, before you go ahead and bring home a new Fido, you may want to read our discussion on things to consider before getting a new puppy or dog. Some dogs show excellent performance for such task because they have more courage, greater stamina, fierce look, and many other characteristics necessary for that task. The list below will show you some of the highly recommended best guard dog breeds. Check them out and see what makes them belong to such list. This dog breed isn’t really that intelligent. Bullmastiffs’ stamina isn’t that good either. Not to mention, this guard dog doesn’t bark that much. So, what makes Bullmastiff belong to the best family guard dog breeds then? Well, it’s related to its courage and protective instinct. Bullmastiff is also quite agile in comparison to its size. This dog breed seems to be aware all the time and it’s also really loyal to the master. What’s even greater – Bullmastiff can be so friendly to the other pets you have at home. It can even be friendly to your cats! The next option for the best guard dog breeds is Doberman. This dog breed seems to be so complete. It has fierce look which can make people quite terrified. It’s also strong and it’s also intelligent enough. What’s quite interesting about this dog is its origin. Doberman is a breed which comes from the combination of Rottweiler, Greyhound, and Terrier. It was Louis Doberman who combined those breeds. Louis Doberman was a tax officer, and he needed a good dog to protect him all the time as he usually carried a lot of money anywhere. Next, we have Rottweiler. Without any doubt, this breed is well known for its capability to become excellent guard dog security. Rottweiler has a great character if looked from a family guard dog perspective. Rottweilers are famous for their stamina. Don’t forget that this dog breed is also intelligent. You should also notice how friendly it can be to a family members remaining extremely protective. However, at the same time, this dog can be really dangerous to strangers. You should also understand that this dog breed needs to get through guard dog training first before you can expect it to be a good family guard dog because its nature is quite wild. You should not be tricked by Puli’s cute appearance, even though originally, this dog breed is bred as a shepherd, but its great caution towards the condition in its surrounding makes it one of the best options for the family with children guard dog you can find out there. That is why, you should never underestimate this dog or you will only regret it later on. Once you have been targeted by Puli, it will start barking at you and its bark is really loud. It’s quite surprising by considering the size of the body isn’t that big. As the part of the best guard dog breeds, Komondor looks a lot much similar to Puli. Except the size is a lot bigger than Puli. Indeed, with such a size, you can also expect it to be more aggressive than Puli. That is why Komodor can be said as a good guard dog by considering the size and the courage. Not to mention, you can also expect this dog to play with your kids as well. Kids will love it because of its playfulness. Not to say, the appeal of this dog is also charming. If you are looking for medium-sized guard dog breed to protect your family and kids, you may want to consider this breed. Giant Schnauzer’s size is not really that big but when it comes to loyalty, this dog is one of the best. And with that in mind, it’s really reasonable to say that Giant Schnauzer is the best guard dog in the world. Its appeal is actually quite unique because it has moustache. And it’s also really dominant. What’s so great to have this kind of dog is that it tends to follow the master around. Thus, if you have this dog, you will feel a lot much safer and protected. You may be familiar with this dog as a police dog. German Shepherd has such great protective instinct, also very well known for its intelligence and excellent stamina. As the part of trainability of guard dog skills, this dog is very easy to be trained. You can expect it to have so many talents including the particular one like to smell things from distances. Shepps are also quite playful, so it will make an excellent companion for your kids. You must never play around with this kind of dog. Rhodesian Ridgeback is originally a hunter. It hunts lion which means that its courage is something you should not question at all. Just imagine if you have a Rhodesian Ridgeback as your black guard dog. With rather a ferocious character, terrifying appeal, and bark which can make you feel like your heart has dropped to the floor, you can expect great safety and protection for you, your family and kids once such a dog is around. Because of Kuvasz similar looks to a sheep, you may think this dog breed has no place on the list of protection dogs for families. Yes, it looks really similar to sheep. However, you should not worry at all about its ability to deal with guarding. The most significant characteristic of this dog to make it deserve the place in this list is about how it can stay in one post or point for a long time. Therefore, it is totally a good option for protection. The last option is American Staffordshire Terrier. This dog is actually a kind of pitbull and it’s so great for this purpose. The loyalty towards the master is out of the question. And yes, it has nice aggressiveness which can make strangers terrified. It’s also quite agile so you can count on it for some chasing. Many people today believe that they should get a dog for protection. It is noticeable with people who are not particular about owning a dog, yet you see them buying big dogs like a Mastiff or a Great Dane because they believe that these dogs can protect them. You will also notice that a lot of people have bully breeds of dogs such as the American Pit Bull Terriers and their mixes because they believe that these breed of dogs will attack intruders. However, some people prefer to have their dogs trained in protection training, or they get a dog that is already protection trained. Dog protection training is a very sophisticated dog training program that requires a good dog trainer to work with a dog and help him to understand the significance of the different actions that he has to perform. In protection training, the trainer has to have excellent skills and a perfect understanding of the drives that motivate a particular dog and requires that he provides excellent obedience work. Because of all what protection training entails, it is not advisable that an inexperienced trainer does the training alone. Protection training for dogs usually involves bite work, chasing an intruder, attacking someone and any other lessons that can create a problem for the inexperienced trainer. During the training session, the trainer has to use a padded sleeve for protection. Many people believe that their dog would protect them from intruders if they were ever threatened, so the question arises as to whether or not you have the right dog for protection training. Actually, it takes a dog with a special temperament and genetic background to do protection work. 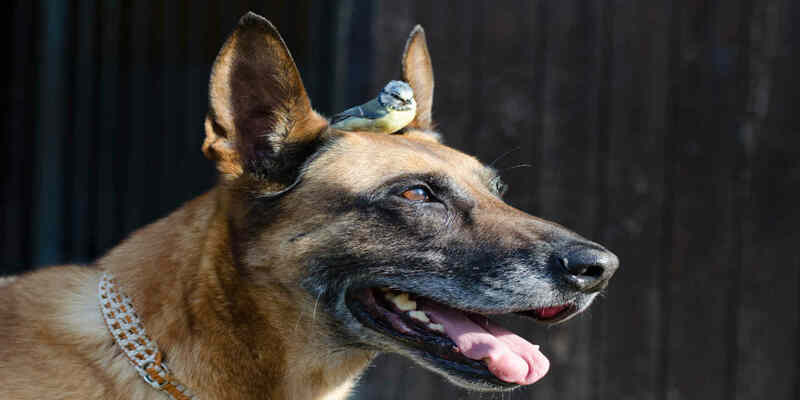 That’s the reason why German Shepherds, Belgian Malinois, and a few other such breeds are used to perform most protection work. For example, if you have a Border Collie and you want to train him to do protection training, just because he is a genius dog does not mean that he will perform well in guarding. The reason may be that he does not have the character for protection work. However, a protection trained dog is an invaluable asset to anyone who knows how to handle him. If you have been trained on how to handle your dog or if you and your dog have been trained together, you are already at an advantage. Therefore, depending on your situation, having a protection dog may be just the right thing for you. Protection trained dogs are vital for police departments, drug enforcement agencies, and any other law enforcement organizations. They are specially trained by experts to work along with these organizations to assist them in the type of work they do. Furthermore, these organizations have people who are appropriately trained on how to handle protection trained dogs. By now you must have already realized that a true protection trained dog is not for everyone because of the type of training that they have to go through. But you can still own one of the best guard dog breeds from the list above even if your family is with children and enjoy new furry family member.